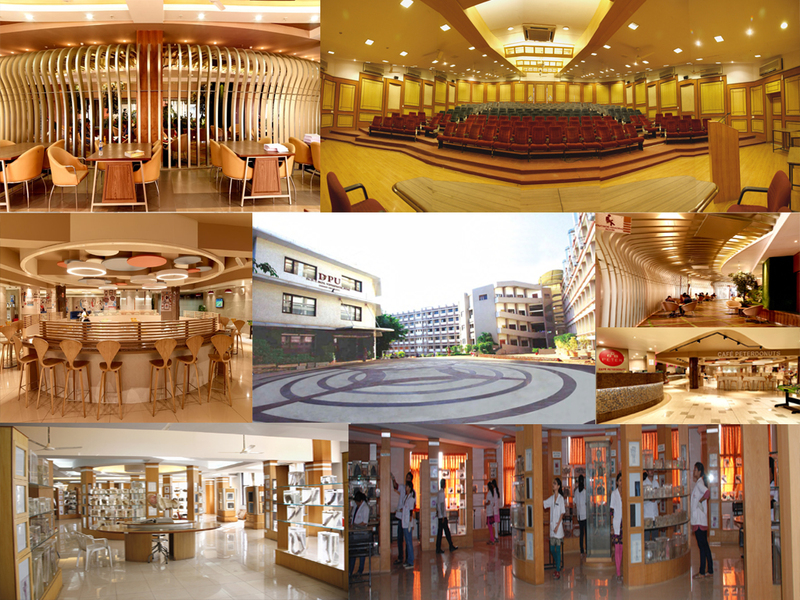 Dr. D. Y. Patil Biotechnology and Bioinformatics Institute has four International research collaborations. Dr. D. Y. Patil Biotechnology and Bioinformatics Institute has MOU with University of Skövde, Sweden for the research project “Bioremediation of toxic metals and other pollutants for protecting human health and ecosystem” funded by Swedish International Development Cooperation Agency (SIDA). Dr. Neelu Nawani, Associate Professor, Dr. D. Y. Patil Biotechnology and Bioinformatics Institute, Indian Coordinator and collaborator, Dr. B. P. Kapadnis, Professor, University of Pune, Indian Collaborator, Mr. Ravi Behera, Embassy of Sweden in India, Dr. M. B. Khetmalas, Director, Dr. D. Y. Patil Biotechnology and Bioinformatics Institute, Dr. Abul Mandal, University of Skovde, Sweden, Swedish Coordinator and collaborator. Dr. D. Y. Patil Biotechnology and Bioinformatics Institute has MOU with University of Skövde, Sweden for the research project “Identifying novel biomarkers of COPD and design of innovative preventive and therapeutic strategies targeted for the benefit of Indian population” funded by Swedish International Development Cooperation Agency (SIDA). Dr. Neelu Nawani, Associate Professor, Dr. D. Y. Patil Biotechnology and Bioinformatics Institute, Indian Coordinator and collaborator, Dr. Cecilia Eriksson, University of Skövde, Sweden, Swedish Coordinator and collaborator, Dr. M. B. Khetmalas, Director, Dr. D. Y. Patil Biotechnology and Bioinformatics Institute. Dr. D. Y. Patil Biotechnology and Bioinformatics Institute has MOU with Ecole Nationale D'Ingenieurs de Sfax, Tunisia for the research project “Comparative study of actinomycetes biodiversity in India and Tunisia: investigation of biotechnological enzymes and biological activities” funded by Department of Science & Technology, Govt. of India and Ministry of Higher Education and Scientific Research of the Republic of Tunisia. Dr. M. B. Khetmalas, Director, Dr. D. Y. Patil Biotechnology and Bioinformatics Institute, Indian Collaborator, Dr. Sofiane Ghorbel, Ecole Nationale D'Ingenieurs de Sfax, Tunisia, Tunisian Coordinator and collaborator, Dr. Noomen Hmidet, Ecole Nationale D'Ingenieurs de Sfax, Tunisia, Tunisian Collaborator, Dr. Neelu Nawani, Associate Professor, Dr. D. Y. Patil Biotechnology and Bioinformatics Institute, Indian Coordinator and collaborator. Dr. D. Y. Patil Biotechnology and Bioinformatics Institute has MOU with Middle Tennessee State University, USA. 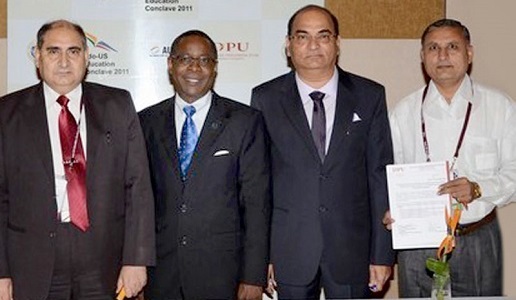 Dr. P. N. Razdan, Vice Chancellor, Dr. D. Y. Patil Vidyapeeth, Pune, Dr. Sidney A. McPhee, President, Middle Tennessee State University, USA, Dr. P. D. Patil, President, Dr. D. Y. Patil Vidyapeeth, Pune, Dr. M. B. Khetmalas, Director, Dr. D. Y. Patil Biotechnology and Bioinformatics Institute.